It means we look to our diversity as the composite, and yet never fully revealed, image of the sacred and divine. It means we are open to receive the many gifts and blessings of the wisdom teachings and truths of other faith traditions, while also fully embracing our own traditions. It means we tend to our own spiritual growing edges and self-care in a way that enables us to maintain ethical conduct, provide appropriate spiritual support, and sustain an ongoing, vibrant ministry to those we serve. It means we maintain a sense of wonder and curiosity about it All. The Interfaith minister serves the unnamed and named God, and is open to engaging new faith traditions that are not familiar. The Interfaith minister recognizes that the Holy is everywhere: jail, hospital, nature and the streets. Our mission is to empower all and overpower none; to do this we must be vigilant observers of human nature, starting with ourselves. As ordained Interfaith clergy, we strive to preserve integrity and dissolve prejudice and injustice. As ordained Interfaith ministers, we hold that Spirit is fully present as an inspired energy in all beings and all things. We see beauty, and we respect and are connected to the Divine nature expressed in both male and female, in the body, and in creation itself. We seek and work with the loving thread that flows through all faiths, that connects all faiths and has always connected faith traditions. We believe that forgiveness and gratitude are two of the most powerful tools of our calling, and that dedicated spiritual practice and prayer can bring about transformation and healing. We pray that those who wage war in the name of God will someday embrace this perspective so that our world will know peace and harmony. No doubt there may have been many steps along the way that have brought you to our doors. We congratulate you for your courage and for all the spiritual discernment and growth that have shaped you into becoming who you are today. We bless all that has brought you to this present moment in your journey. Our seminary and community are for you if you are looking for a way to develop a personal ministry which is creative and celebrates diversity. CHI will help you discern your sense of call to Interfaith ministry and discover how you uniquely express yourself in this work. As a student on the path to ordination as an Interfaith minister, you will be asked to bring your own whole self creatively into your ministry. You will be encouraged to use your talents as an expression of your spirit in working with people. You will develop your own personal ministerial style and be able to provide spiritual support and perform ceremonies and rituals as requested. As an ordained Interfaith minister you can officiate at weddings (requirements for clergy may vary from state-to-state or country-to-country), blessings, and memorials. Our ordained clergy also serve in a variety of institutional settings, including hospitals and hospice, prisons, corporations, addiction recovery agencies, animal chaplaincy, and eco-chaplaincy, where they bring an informed Interfaith perspective to people of many faiths as well as people of no faith. Support people in finding meaning within life, crisis, suffering, and loss, as well as sorting out their relationship to the Divine. Provide compassionate, respectful spiritual care to people of all faiths, as well as people of no faith. Assist people in celebrating and ritualizing the cycles of life, including weddings and memorials. Are active participants in the world community of clergy from all faith traditions who hold the model of Interfaith spiritual life as appropriate for our world today. Recognize the Holy everywhere: in prisons, hospitals, hospices, corporations, houses of worship, nature, and the streets. Provide leadership to foster peace, justice, and sustainability in our world. CHI ‘s ordained clergy serve in traditional settings, such as hospital and hospice chaplaincy, as well as in emerging forms of ministry, such as eco-chaplaincy. CHI ‘s ordained alumni are fostering peace, healing, harmony, and justice around the world. For more information and to spark your own imagination about what is possible as an ordained Interfaith Minister, please refer to our Types of Interfaith Ministries page. ARE YOU CALLED TO ORDINATION? Ordination is a process in which a religious community designates specific individuals as clergy with the intent that they will minister to the spiritual needs of others in the name of and on behalf of the community. 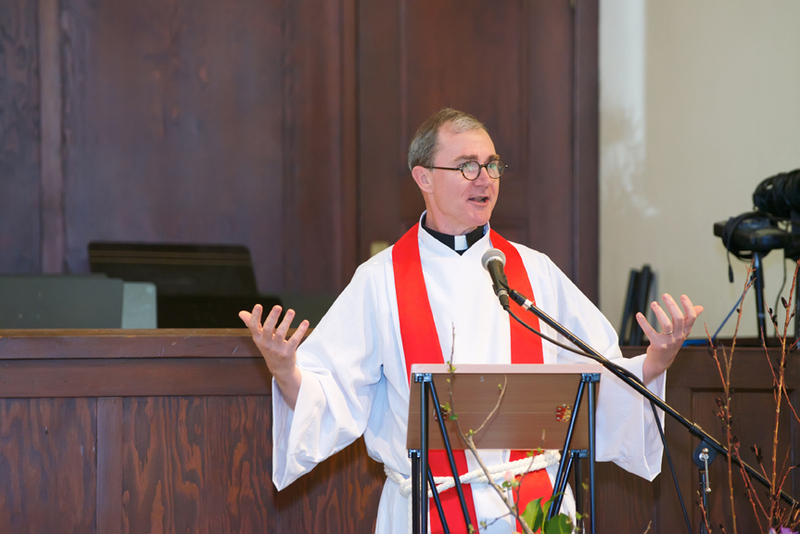 Individuals usually first have an internal sense of a calling to ministry, which is then validated externally by a religious community through the ordination process. The CHI Interfaith Community views ordination as a once in a lifetime event. The pathway to ordination is both sacred and deliberative. Religious bodies, including The CHI Interfaith Community, ensure that candidates for ordination are carefully prepared and examined before ordaining them as clergy. The CHI Interfaith Community includes clergy, representing many faith traditions, who believe the model of interfaith spiritual life is essential for our world today. Ordination is bestowed on behalf of The CHI Interfaith Community through the lineage of these previously ordained clergy. Our ordained Interfaith ministers have the same legal standing as ministers of any faith tradition. They may perform rituals and ceremonies as professional clergy, including marriages, blessings and celebrations, and memorials, as well as providing pastoral care. By remaining Clergy in Good Standing with The CHI Interfaith Community, their ordaining religious body, they also fulfill a key requirement to be board certified chaplains. CHI ’s Ordained Interfaith ministers also have responsibilities. CHI ’s clergy are bound to the vows that they take at the time of ordination and are also expected to adhere to The Common Code of Ethics for Chaplains, Pastoral Counselors, Pastoral Educators and Students. 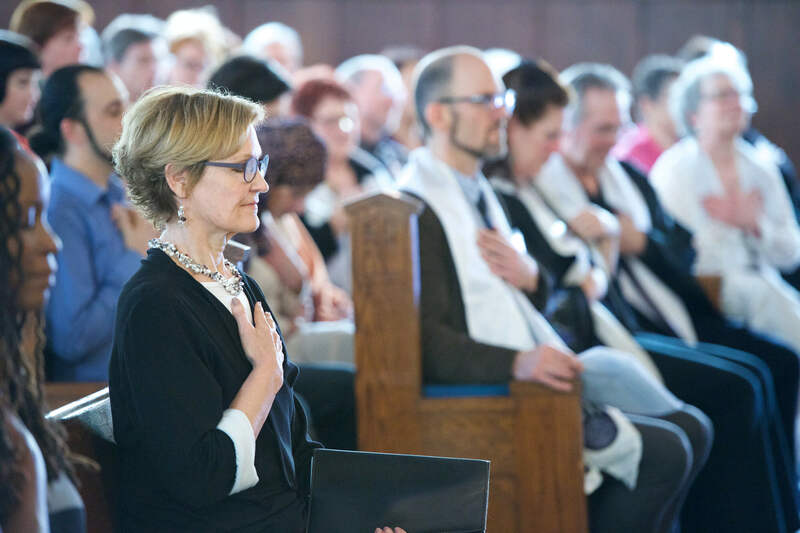 Ordained ministers represent CHI ’s Interfaith Community and are responsible to CHI as an institution, to fellow ordained clergy, and to those they serve as they adhere to these standards, principles, and ideals. Ordained Interfaith ministers have the support and backing of CHI ’s Interfaith Community, which is committed to their ongoing growth and development. Fellow clergy, individually and collectively, are a source of spiritual encouragement, camaraderie, ministerial resources, and countless years of wisdom gained through personal and professional experience. Ordination is conferred upon individuals who have completed all the requirements of the Interfaith Chaplaincy Certificate Program. We ordain people who are committed both to the vocational calling of service and to personal spiritual development, and who have demonstrated readiness for ministry, including achievement of core competencies. The Interfaith Studies Certificate Program fulfills the academic requirements for ordination and provides instruction to assist seminary students in their vocational formation for ministry. A separate but parallel process takes place for those called to Interfaith ordination. 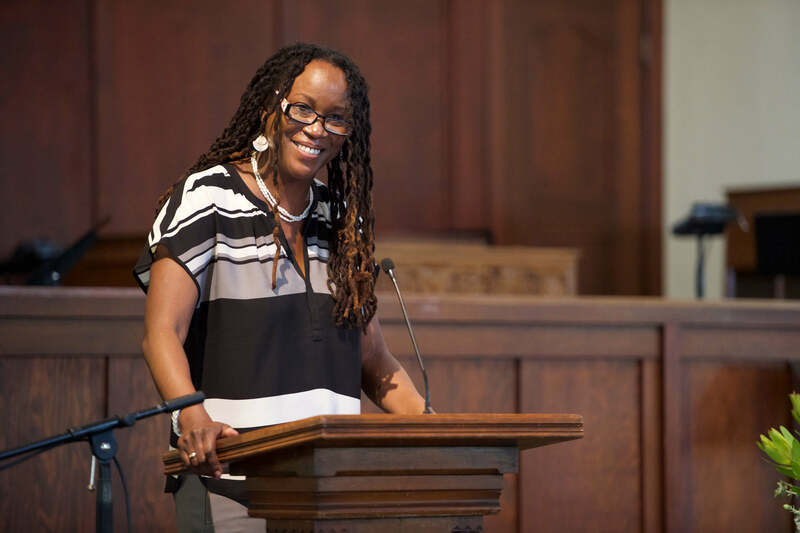 This process is designed to help ordination candidates discern their call to spiritual leadership and ministry and is conducted by The CHI Interfaith Community. Ordination candidates are required to complete 400 hours of practicum, or the equivalent of 1 unit of Clinical Pastoral Education (CPE). This requirement is instead of the 200 hours required for Certificate students. A requirement of most seminaries, this collaborative process provides valuable insight into one’s vocational calling, psychological health, and readiness for Interfaith ministry or chaplaincy. It provides an opportunity for seminary students to engage in a self-reflective process that can help them identify their learning edges and evolve as human beings and as ministers-in-training while still in the supportive setting of the CHI Seminary and CHI Interfaith Community. Students assess their own mastery of the Core Competencies of Interfaith Ministers through a written process of deep reflection. A committee composed of representatives from the seminary and The CHI Interfaith Community will meet with the student to discuss the submitted Core Competencies Self-Assessment paper. Afterward, this same committee will assess the student’s readiness for ordination and either approve the student for ordination or provide additional steps to complete to prepare for ordination. The purpose of the ordination cohort is to give and receive support on the path to ordination. Students join a cohort that will meet together in the months before an ordination ceremony in order to clarify each candidate’s sense of calling to ordained ministry, discuss aspects of the ordination process, and plan together aspects of the ordination service. The retreat takes place during the week of ordination, at the same time the usual monthly module is being held. All ordinands are expected to participate in the full retreat. The spiritual purpose is to enter into a sacred space where ordinands prepare themselves internally for ordination as they reflect on what it means for them to cross the threshold into ordained ministry. The practical aspect of the retreat includes time to rehearse the ceremony and review logistical aspects. Clergy in Good Standing status means that a minister is demonstrating to the satisfaction of his/her religious community (The CHI Interfaith Community) an ongoing commitment to personal wellbeing/self-care, spiritual and psychological development, professional growth, ethical conduct, and the sustainability of one’s religious/ordaining community (CHI ). Seminarians who successfully complete The CHI Interfaith Community’s process for ordination are considered Clergy in Good Standing, which is required for board certification as a professional chaplain and may be required by employers. Clergy in Good Standing status must be renewed annually.